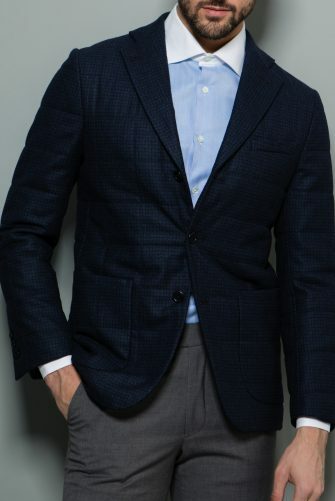 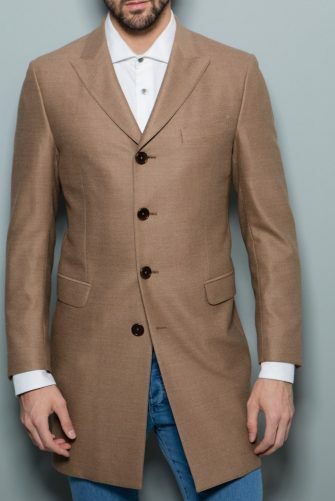 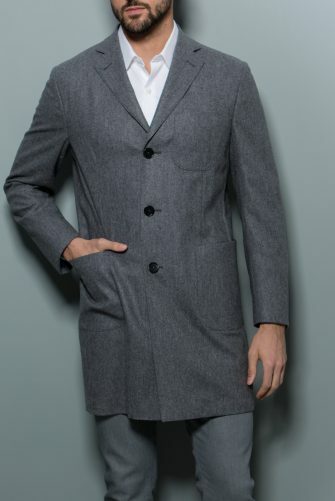 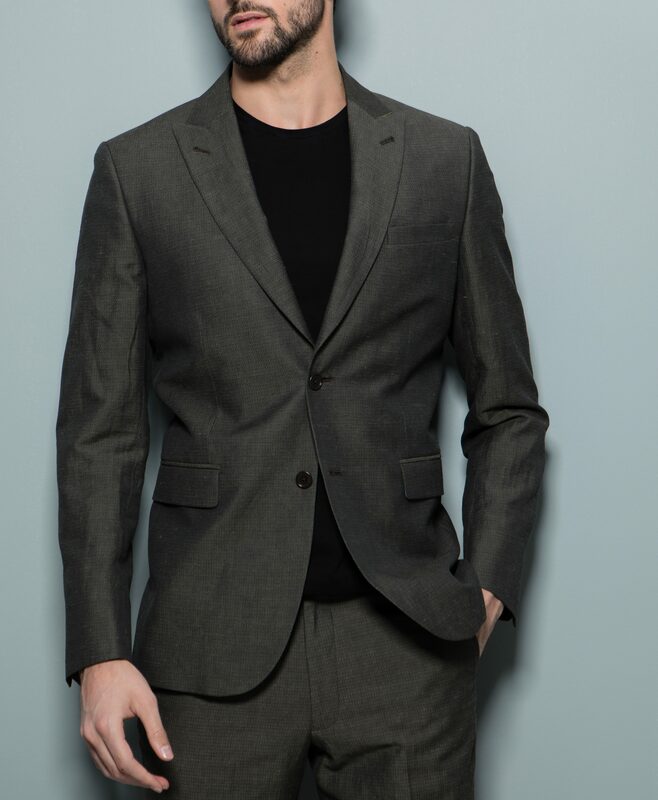 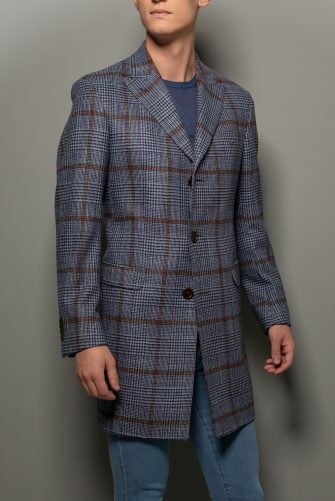 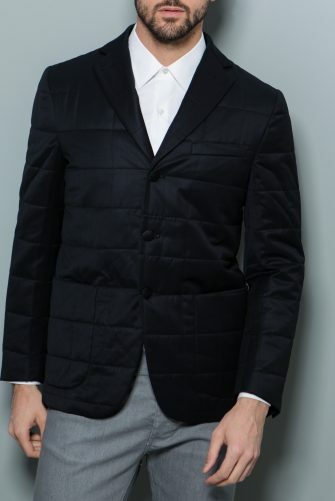 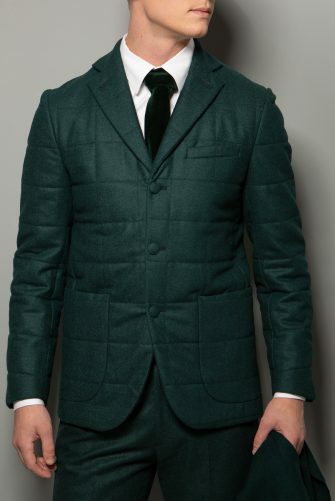 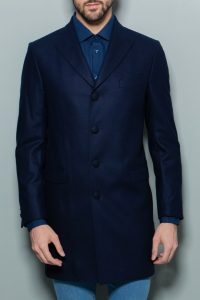 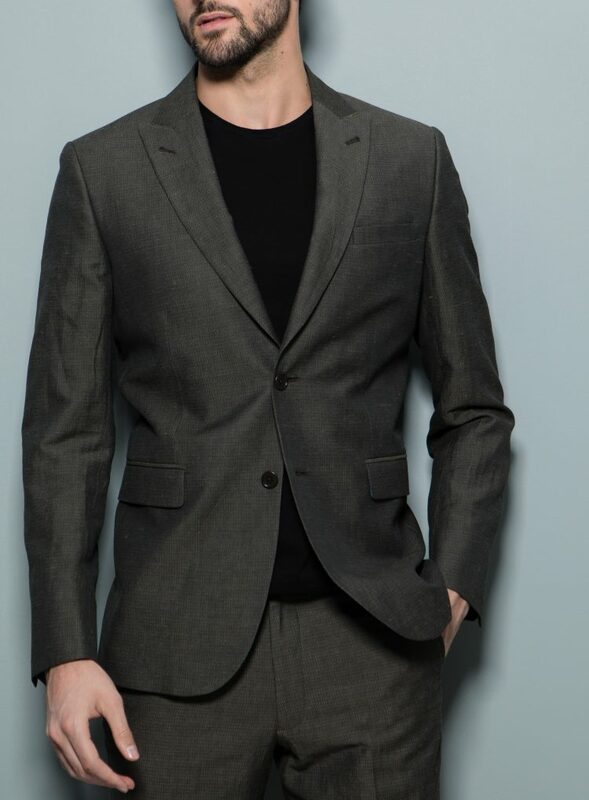 Designed from textured cottonwool army green fabric, this allows for a remarkable two-button, single breasted blazer. 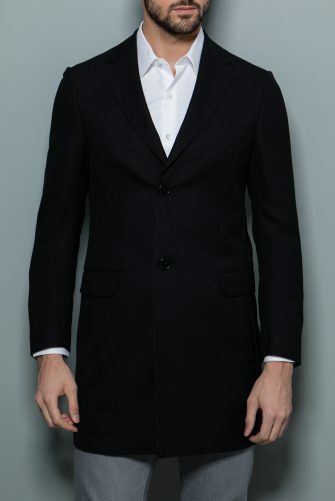 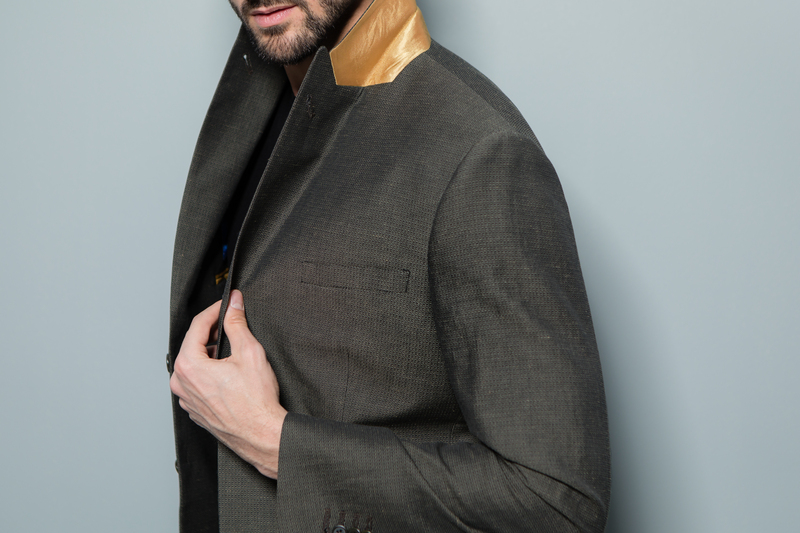 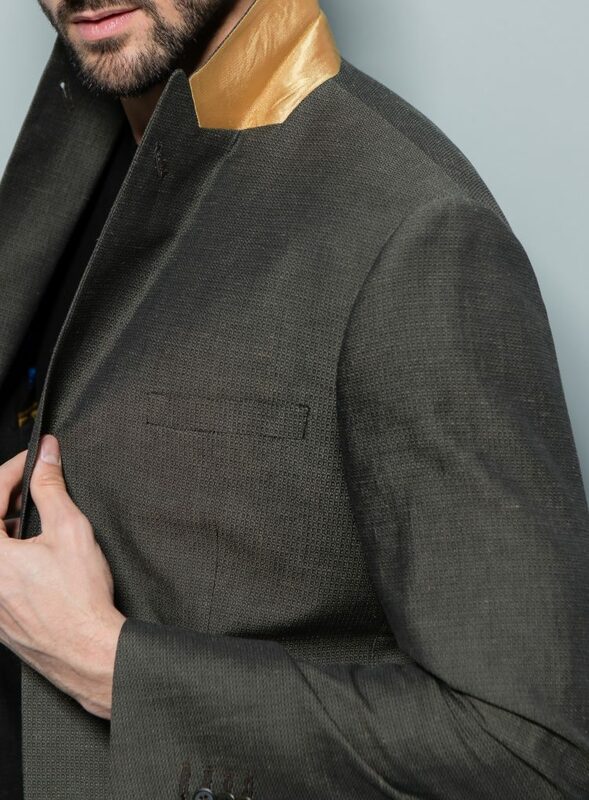 The single vent back, corozo buttons, and gold under collar make for important details. 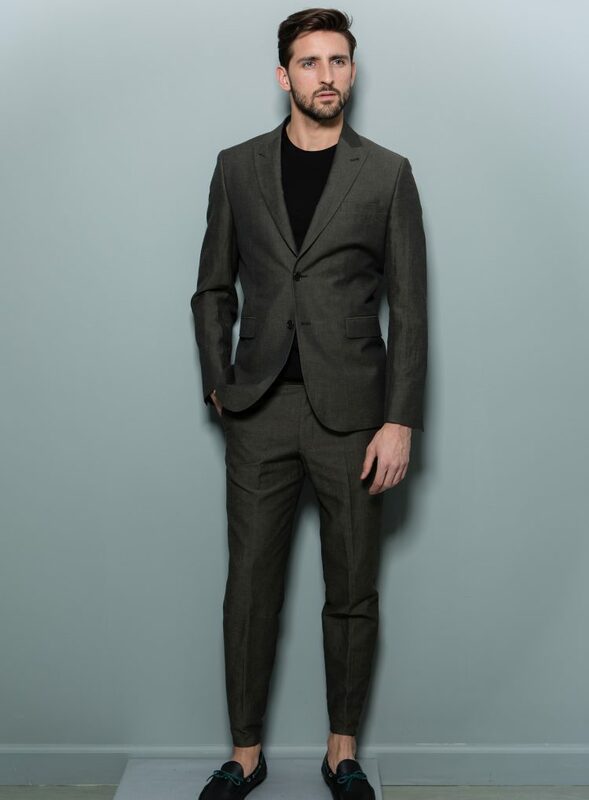 To complete the suit, we have trousers in the same fabric.